Professional grade microfiber PerfectCLEAN cloths are environmentally friendly and remove 99.9% of bacteria from hard surfaces. 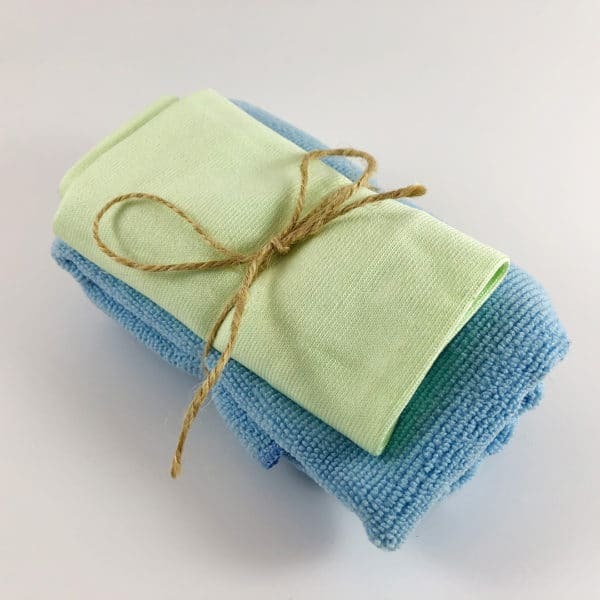 Regular cleaning rags don’t pick up all the dirt, microfiber cloths do. GLASS CLEANING SET: One premium microfiber cloth and one microfiber glass cloth. Includes glass cleaning instructions for crystal clear windows and mirrors. BENEFITS OF MICROFIBER CLOTHS: Super absorbent, remove 99.9% of bacteria from hard surfaces, fast drying, lint free, non-abrasive, and hypoallergenic. 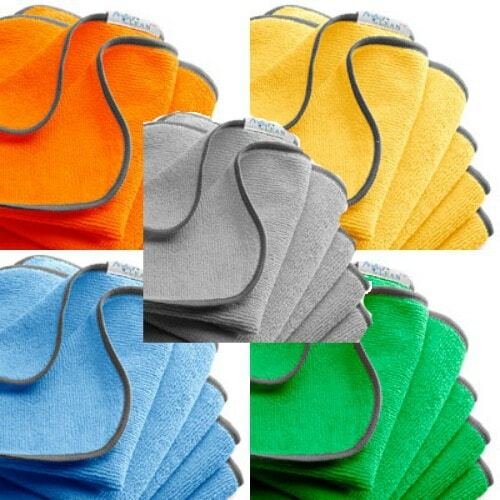 They are four times more effective than traditional cleaning cloths. About Perfect Clean Eco-Friendly Cleaning Microfibers: The PerfectCLEAN All-Purpose Wipers penetrate invisible crevices in surfaces to cut out dirt & grime – the wiper “traps & removes” contaminants absorbs and concentrates them in the wiper. Absorbs 8 times its weight in water/fluid and absorbs it faster which helps reduce staining. Color coding for distinguishing between bathroom or kitchen use. Helps reduce cross-contamination. Hypoallergenic: great way to help reduce asthma and allergy triggers in the home and workplace. Use dry for dusting & damp, NOT wet, to clean-dry. Simply mist PerfectCLEAN® to remove dried spots and stains. 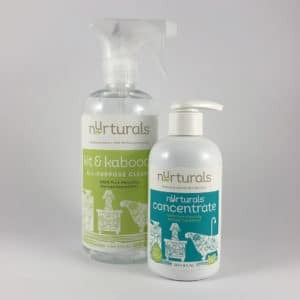 Eliminates the need for glass and all-purpose cleaners. 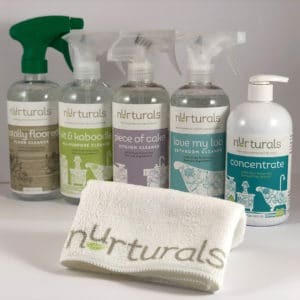 Cleans everything from stove tops to painted walls; spot cleans carpets and even removes candle wax residue from table tops. Scientific info behind our microfibers: The PerfectCLEAN microscopic triangular fiber (4-6 microns) traps and removes bacteria (2-8 microns) and other harmful microbes. Our bicomponent split filaments are highly absorptive and hold a positive electrostatic charge to attract dirt, dust, bacteria, pollen, and other negatively charged organic particles. Built-in Antimicrobial Protection PerfectCLEAN can eliminate 99.99% of bacteria from hard surfaces. Perfect Clean wipers are the only microfibers that has been issued worldwide patents for built-in antimicrobial protection.